The World Transplant Games take place in Durban, South Africa at the end of July. There are 26 Athletes and 23 supporters going. A great number considering the travel and cost involved. I am delighted to be one of these ‘athletes’ and to represent our Donors, The IHLTA and Heart and Lung recipients. I will be competing in Golf, Table Tennis, Lawn Bowls and Petanque. I will endeavour to promote Organ Donor awareness from a Heart and Lung perspective. I will try to keep an update from the games on this website. Alternatively, there is an update on Transplant Team Ireland Facebook page of the Irish Kidney Association. 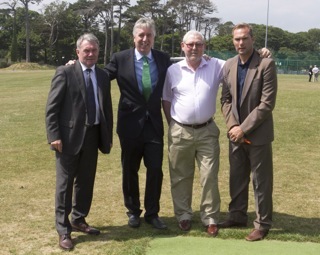 We wish Seamus the very best of luck in the Games in Durban. The latest news from the IHLTA with relation to the European Heart and Lung Transplant Games in Apeldoorn is available here in this newsletter. Please see this attachment for the newsletter. 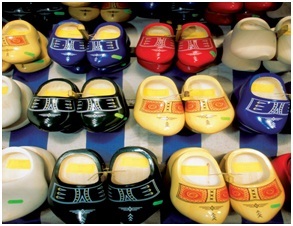 HAVE YOU JOINED OUR TEAM FOR THE NETHERLANDS? 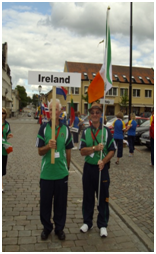 In the last Games Newsletter we told you about the 14th European Heart and Lung Transplant Games which will take place in Apeldoorn in the Netherlands from 27th June 2012 to 1st July 2012. We are delighted to say that we have had a great response and it looks like we will have a good number of athletes and supporters to be part of the Irish Team which is great news! However, It’s not too late to join. Remember you don’t have to be an athlete – every team needs supporters – so come along and support !! If you haven’t given your name yet, make sure you do. Even if you are just thinking about it, let us know and we will be glad to talk to you about it at any stage. On Saturday 18th February following the Annual Mass of Thanksgiving and Remembrance in the Mater, there will be a meeting for those travelling to the Games. This will take place in the Pillar Room immediately following the reception. Those who have given us their names already for the Games will have received an invitation document with application forms. Just to clarify a couple of points on this. Completed application forms together with a cheque for half of the amount payable can be brought to the Games meeting after Annual Mass of Thanksgiving on 18th February . Cheques can be made payable to IHLTA Balance of payment will be due on or before April 10th 2012. The cost of €500 pps covers five nights accommodation (27th June to 1st July inclusive). Details of any additional payments (night of 26th June) are fully detailed in the application form. Ask if you are unsure about any of this. The Bus trip from the airport to the hotel and back will be paid for by the IHLTA, so do not fill in anything on the application form for cost of bus transport. We will be taking track suit sizes on 18th Feb too – so make sure you have details for those travelling with you – check if small, medium, large or x-tra large. REMEMBER TO BOOK YOUR FLIGHTS! On occasion, flight numbers may be changed by Aer Lingus, however time of flight should remain the same. As advised there will be several training days available for those who wish to avail of them (listed below) . These will be in ALSAA near Dublin Airport. They are run in conjunction with the IKA and there is no need to pre register. You can phone Seamus Eager on 087 2574362 if you have any queries. We plan to provide athletes and supporters with a team track suit with “Team Transplant Ireland” or similar on the back. Each year at the Games there is a parade of teams from each country and the Dutch are always the most colourful of all with absolutely everything in bright orange! So we expect that for the Netherlands, all teams will make a special effort to fly their team colours at the parade and at all the sports venues!! We would love to get sponsorship for a team track suit. So if anybody has any suggestions, contacts or ideas please get in touch with us as soon as possible. No amount is too small, as a few small sponsors are every bit as good to us as one main sponsor. Transplant Games 2012 - Apeldoorn, Holland.